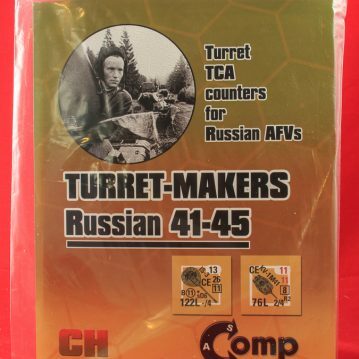 Turret-Makers: Russian 41-45 (hereinafter TMR) is either the third or fourth in Critical Hit’s “Turretmaker” line of accessory counters for ASL; it is not clear whether this product was published before or after CH Annual 3, which contained a Turretmaker countersheet as an “extra.” Other products in this series include Turretmaker 1 and Turretmaker 2. This series of product all center around specialized turret counters for ASL AFVs that replace the generic white turret counters provided as part of ASL and which have AFV-specific information on them. So, for example, there are T-34 turrets and Panther turrets and so forth. The products are basically derivative of the earlier (and never completed) Steelmaster series of counters by Countersmith Workshop. The Steelmaster counters, while an interesting concept, had some problems, while the Turretmaker counters avoided some of those problems while adding others (see the earlier write-ups for more detail). 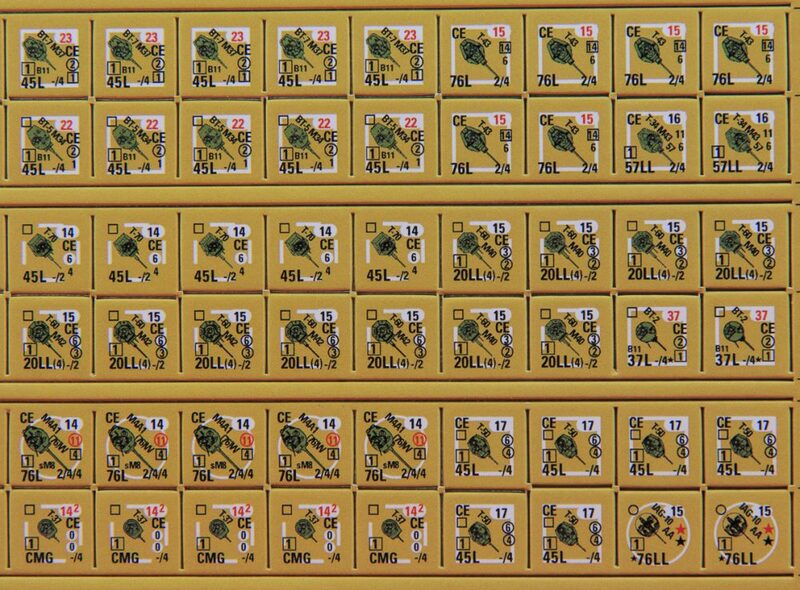 The main problem with the Turretmaker counters is that practically all the information that appears on a 5/8″ ASL AFV counter now appears squished onto a 1/2″ turret counter. 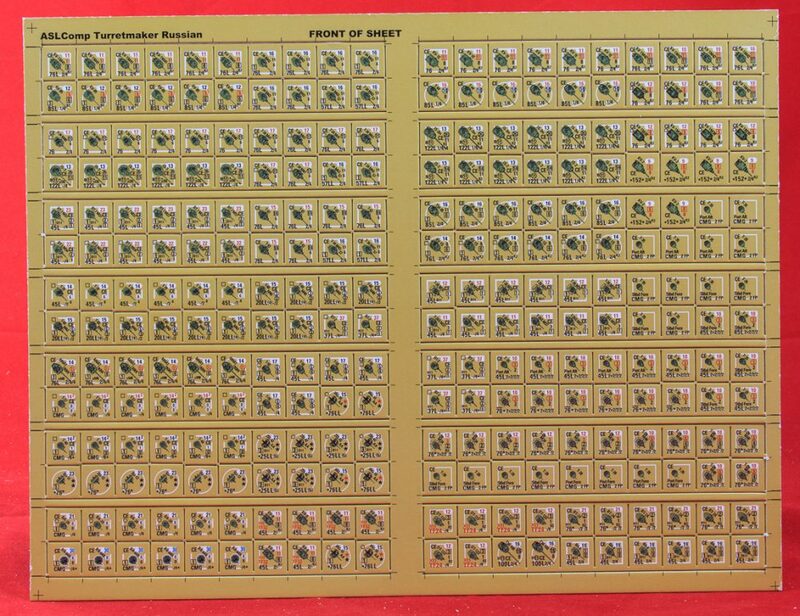 This makes the counters cluttered and hard to read, though all in all they are probably better than the Steelmaster versions. Still, they are likely not to be practical enough for most ASLers; so far, Desperation Morale has not seen any instances of ASLers actually using them in play. TMR avoids one of the problems of earlier Turretmaker products by providing more counters, allowing a greater number of vehicles to be covered. It also allows them space to provide multiple turret counters for the multi-turreted Soviet AFVs such as the T-28 and the T-35, which is kind of interesting. 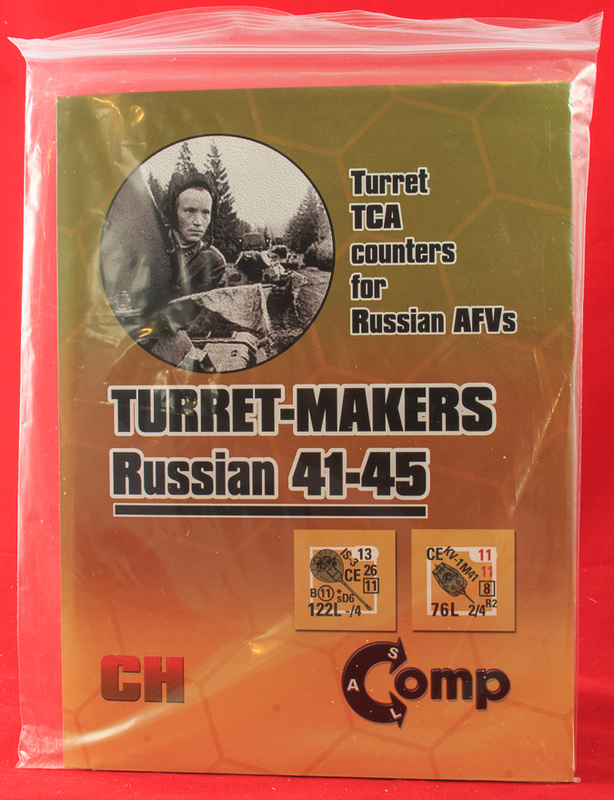 Based on the counters alone, without taking other factors into consideration, such as price or other components, TMR is probably the best of the Turretmaker counters so far. However, TMR does include other components. Oddly enough (for Critical Hit), they do not bump up the price; the product sells for $29.95, the same as TM1 or TM2, despite the fact that they have fewer components. So the lack of a price increase is a minor plus. 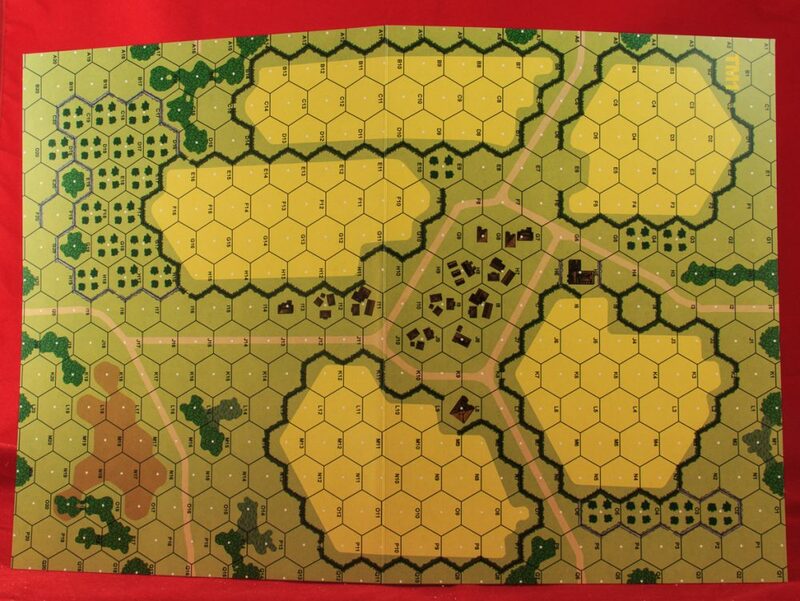 The other components consist of 4 “bonus” scenarios and 3 11″ x 16″ “Gary Fortenberry”-style geoboards printed on light cardstock or heavy paper. 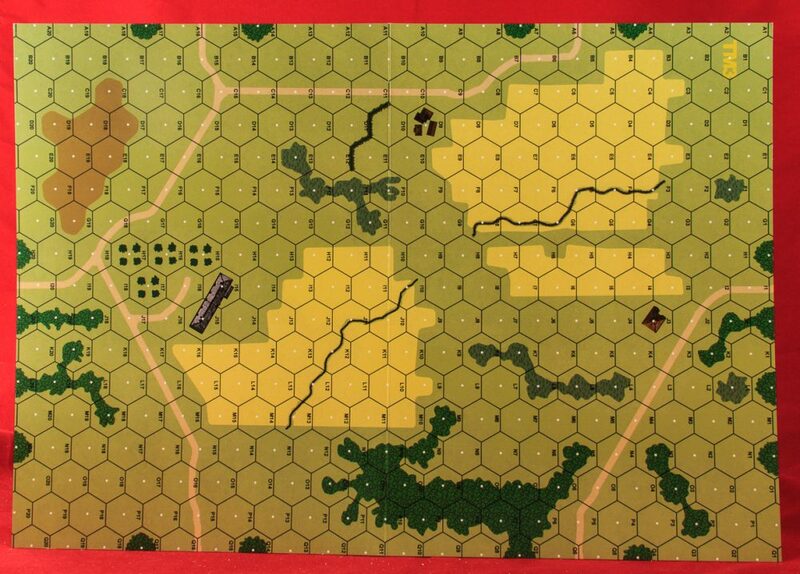 The geoboards (TM1, TM2, TM3) theoretically would be nice components, but past history has shown that Critical Hit is unlikely to ever call for the use of these geoboards outside of the 4 scenarios in this product, so they are largely wasted. In addition, recent Critical Hit history has shown that the company tends to re-use geoboards from one product in other products, either as straight copies or slightly modified. Though Desperation Morale has not gone through every CH geoboard to check, it is possible that one or more of the boards here are not original. The four “bonus” scenarios are derivative, rather than original scenarios. 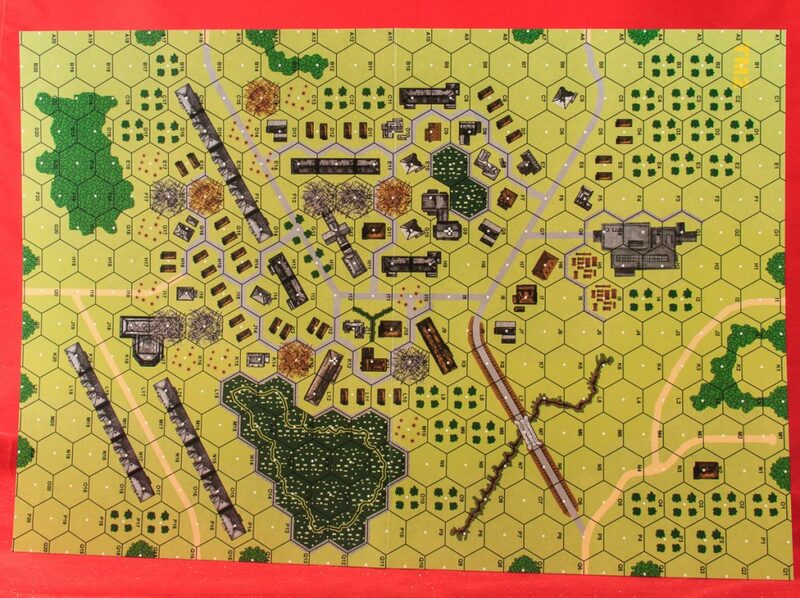 TM1 (Drive on Poltava) seems to be some sort of combination of CH56 (The “Stalingrad” of Kursk), which appeared in Critical Hit Magazine Volume 3 Number 1 and/or S16-4 (Army Group Bobkin), which appeared in the Sweet 16 Geo Board & Scenario Collection and which itself was based on PBP4 (Driven to the Bottle), from the ASL Ninety-Six Pack. It is extremely likely that the scenario was not replaytested for the new boards used. TM2 (Pest Clearout) appears to be derived (through an intermediate Sweet 16 Geo Board iteration) ultimately from PBP7 (Piece of Cake), also from the ASL Ninety-Six Pack. TM3 (Messer-Strafe) was originally ASLN37 (A Bush Across the Street), originally published in the ASL News newsletter and reprinted by Critical Hit as part of Scroungin’ ASL News. 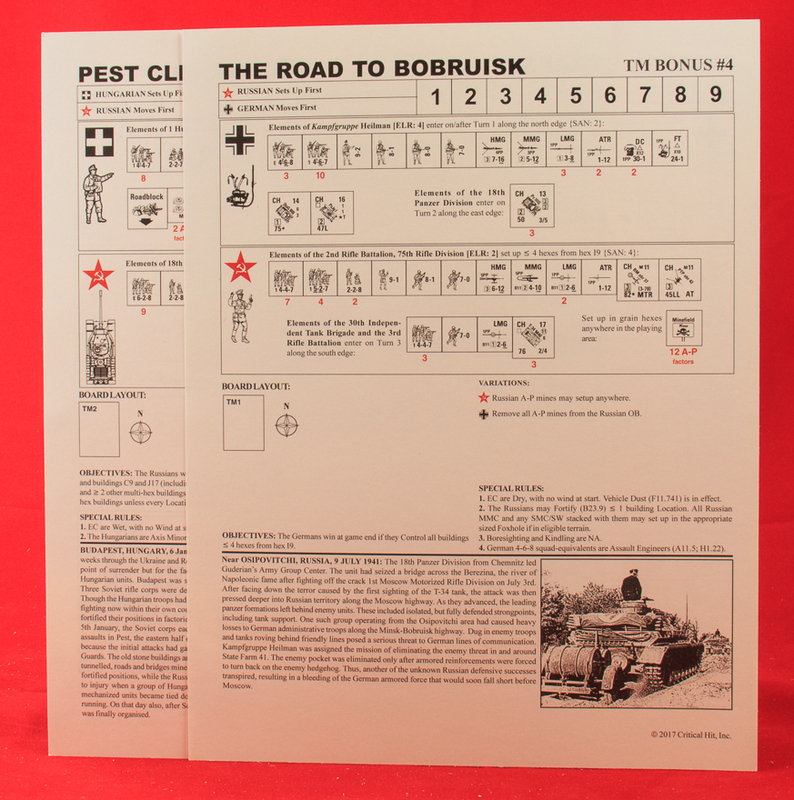 TM4 (The Road to Bobruisk) similarly first appeared as ASLN31 in ASL News #16, also reprinted in Scroungin’ ASL News. So the extra components include four derivative scenarios that were probably not playtested for the boards on which they appear and three geoboards that unfortunately are likely never to be used other than for these particular scenarios, making them mostly useless, except for DYO circumstances, so they do not really add much in the way of value to the countersheet around which the product was designed.